Hello Stampers! It's Tuesday and that means another fun challenge over at Tuesday Throwdown. This week's sponsor is Deedee's Digis and I am using this beautiful set called Fluttering By. This week's challenge is "Butterflies and Bows." Using anything that incorporates butterflies and bows into your project. The butterfly image was colored in using Copic markers then rhinestones and organza ribbon were added. I also added a Martha Stewart border punch then the banner for the sentiment was freehand cut. 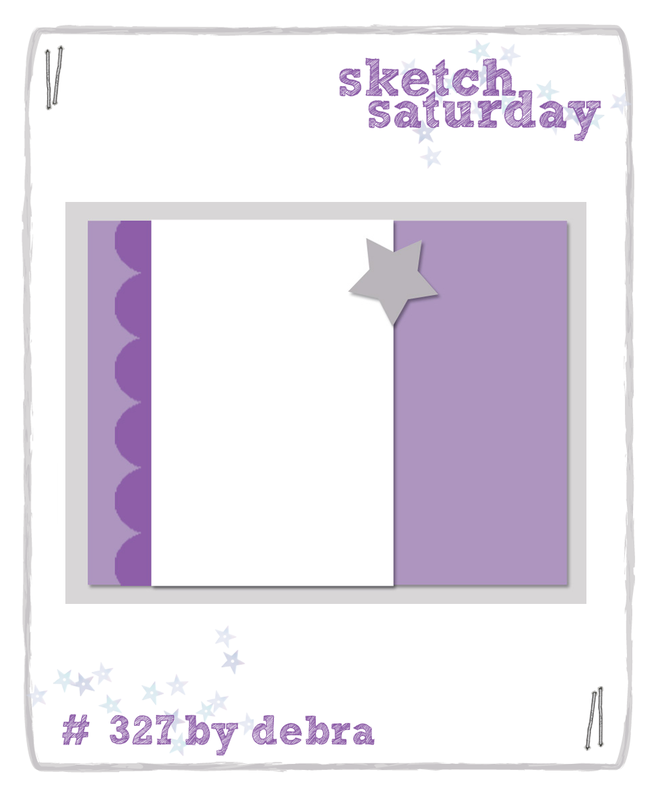 Please visit the TT blog for more DT inspirations and enter to win some fun stamps from DeeDee's Digis. 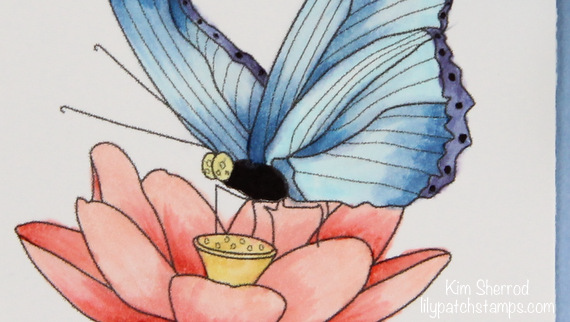 Loving this beautiful flower and butterfly! Your coloring is so soft and pretty too- and loving your pretty bow. Lovely card! I really like the colors you chose. 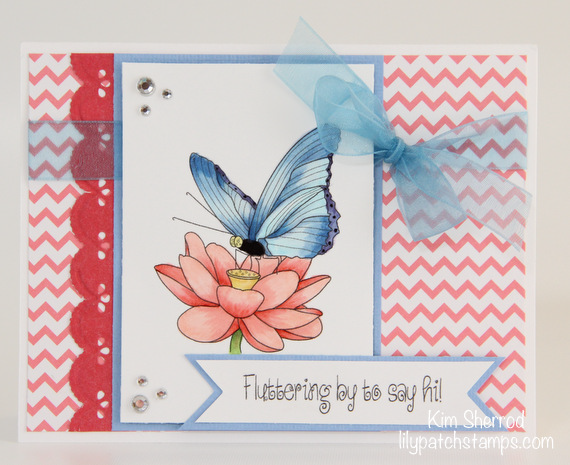 The shades of blue in the butterfly and ribbon are gorgeous.